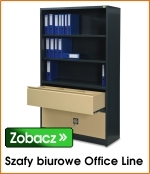 Classic Line workshop trolleys are used in warehouses, manufacturing sectors, workshops, etc. Classic Line trolleys are modern metal furniture with functional design. They have 200 kg load capacity and 100 kg load capacity capacity of the countertop. 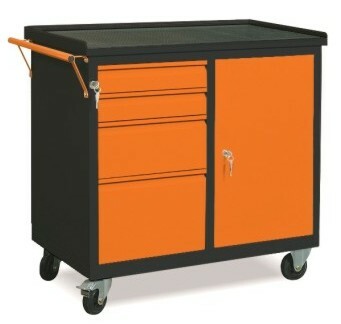 Workshop trolleys are powder coated into colours: body RAL 7024, drawer fronts and doors RAL 2003. 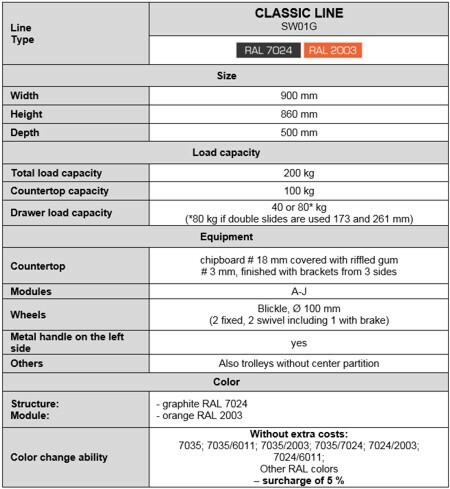 Workshop trolleys can be matched to client needs thanks to wide range of accessories.